Sterling silver jewelry is a great way to purchase a beautiful high-quality product at a much lower cost than comparable white gold designs. 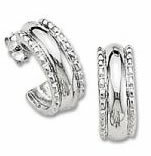 Love the look of chunky diamond rings? 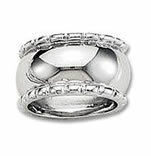 Purchase a silver and cubic zirconia ring for a fraction of the price. 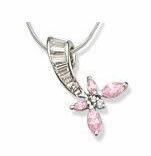 Silver and CZ bracelets can be more suitable for casual wear than expensive diamond bracelets. 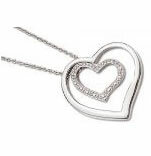 And why choose a diamond necklace or a pair of diamond earrings for everyday when you can have durable and affordable sterling silver alternatives?